Once upon a time Styx wrote about a brave new world however with our country’s current state of affairs and the recent government shutdown it appears that world is further down the road. Thursday evening the Covelli Centre was host to a Styx/Kansas double bill that transported the Youngstown, OH faithful back to a better time, back to the days when arena rock was at the forefront of the mainstream. Like a trip down memory lane both bands treated their fans to songs that were radio staples from years gone by. Styx appropriately tore into “Blue Collar Man” a song that appropriately described the hard working citizens of the former Steel Valley Area. 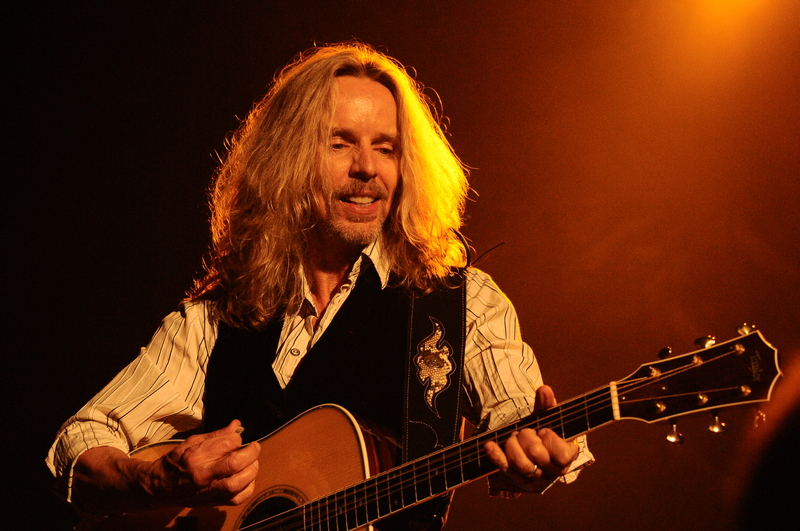 As guitarist Tommy Shaw grabbed his acoustic guitar he introduced original member Chuck Panozzo which brought smiles to everyone’s faces on the stage. From there they broke into “Fooling Yourself” the classic off The Grand Illusion album. From there the show took an unexpected turn with the inclusion of lost gem “Light Up,” before this year the song was only played a handful of times over the past three decades. “Man In The Wilderness” and “I’m O.K.” both fan favorites closely followed. Guitarist and original member James “JY” Young belted out his traditional “Miss America” as well. The show marked the band’s first since Ricky Phillips birthday so they belatedly celebrated as they had the crowd sing “Happy B’day” and brought out a cake for the bassist. As Shaw told the story about the origin of his masterpiece “Crystal Ball,” it made one realize how fortunate we all were to be enjoying this fabulous band all these years later and to see how far they have come after reuniting in the late 90s. Since then the band claims to have played over 1450 shows to over 7 million people over the past fourteen years. Not only was this perhaps the best Styx show I ever saw, I must also say this might be the best lineup the band has ever assembled. Shaw, Young, Phillips along with Lawrence Gowan on keyboards and vocals and drummer Todd Sucherman have clearly established themselves as one of the premier touring acts out there today. The songs themselves are played without a hitch and everyone in the band seems very happy to be performing these songs. Some may regard Styx as a nostalgia act, as evidenced by the bands current set list. The most recent songs in the set date to back to 1981s Paradise Theater release. I think most fans were so excited to hear the hits and some rare treasures that they did not even notice. It goes to show how wonderful, the enormous catalog is as the band keeps it fresh by altering it up every so often.